It's hard to make a top 10 list of the places to visit in Romania. And it might be even harder to take the time and visit them all during just one trip in this beautiful Carpathian country. 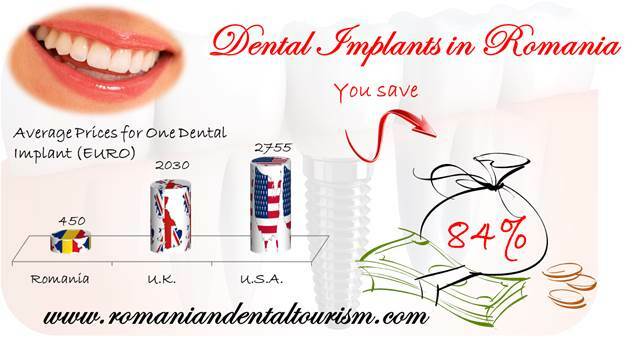 Many foreigners who come to Romania for dental treatments don't plan a trip than can allow them to visit much more than Bucharest. Unfortunately, they don't know what they are missing. Here are the top ten places to visit in Romania, for nature lovers and city dwellers alike. Best known because of Bram Stoker's novel "Dracula", the Bran Castle is a national monument and one of the best known landmarks of the country. Located in Bran, the castle is easily accessible, located nearly 30 km from the city of Brasov and less than 200 km from Bucharest. The castle is a beautiful museum containing art and furniture. Guided tours are available and the admission prices are accessible. Peles Castle is a magnificent display of architecture and style. Located close to Bucharest, in one of the most famous mountain resorts, in Sinaia, the castle was the summer residence of the Romanian monarchy. Peles Castle holds an impressive display of armor and weapons, various art pieces and furniture. Each room is unique and the visitors can also enjoy the breathtaking scenery of the Bucegi Mountains. The Palace of Parliament was built during the communist regime and is the second largest building in the world, after the Pentagon. The impressive building is located in central Bucharest and today it is the headquarters of both chambers of the Romanian Parliament. Tourists can visit several areas of the building opened to the public. A journey on these roads leads the visitor through breathtaking views and beautiful places. Transalpina is one of the highest roads in the Carpathian Mountains and the highest paved road in Romania. Transfagarasan is the second-highest paved road in the country and although driving enthusiasts can argue on which one is the best, both roads offer a great experience. When taking a trip through the Transfagarasan road, visitors can stop during the colder months at the Balea Ice Hotel located in the Faragasi Mountains. The hotel has a different theme every year and guests can spend the night in a truly unique location. The Danube Delta is the second largest delta in Europe and the best preserved in Europe. Its is the home of over 300 species of birds and 45 species of freshwater fish. Bird lovers and nature lovers will enjoy visiting the Delta during summer when they have the highest chance of seeing numerous bird species while enjoying the specific lifestyle of the Danube. The Mud Volcanoes are located in Buzau County and they are actually a geological and botanical reservation. The reservation is unique in Romania and the beautiful landscape attracts numerous curious tourists. The Turda salt mine has been named the coolest underground place in the world. The salt mine is a museum dedicated to salt mining located in the town of Turda, in Cluj County. The saline has an interior big wheel with a height of 20 meters and also offers other interesting underground attractions, like bowling, boating on an underground lake, table tennis, pool, special playgrounds for children. The people in Sapanta vilage, Maramures, became famous when they decided to redefine the way they wanted to perceive death. The Merry Cemetery in Sapanta contains some 800 wooded crosses that tell the story of a person, not in a tragic way, but in a way that reminds of the joy in life. 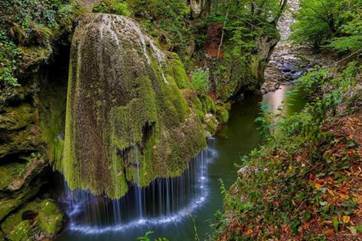 The Bigar Waterfall, in Caras Severin country, was named one of the most beautiful waterfalls in the world. Water drops here from over 200 meters and the cascade fall is not the only natural beauty visitors can find in the Cheile Nerei-Beusnita National Park. "Ochiul Beiului" Lake is another beautiful landmark in the Park and is known for its beautiful azure color. Tourists in search of the real castle of Vlad Tepes can visit Poenari Castle. Cities like Sighisoara and Sibiu are also among the most beautiful cities in Romania. For a more traditional experience, tourists can take a ride with the "Mocanita" train along the Vaser Valley Railway. You can visit these places and much more during your trip to Romania. 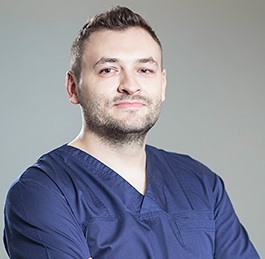 Our dentists are ready to help you plan your visit to Romania and our dentists can give you more details about the dental services we provide in Bucharest.